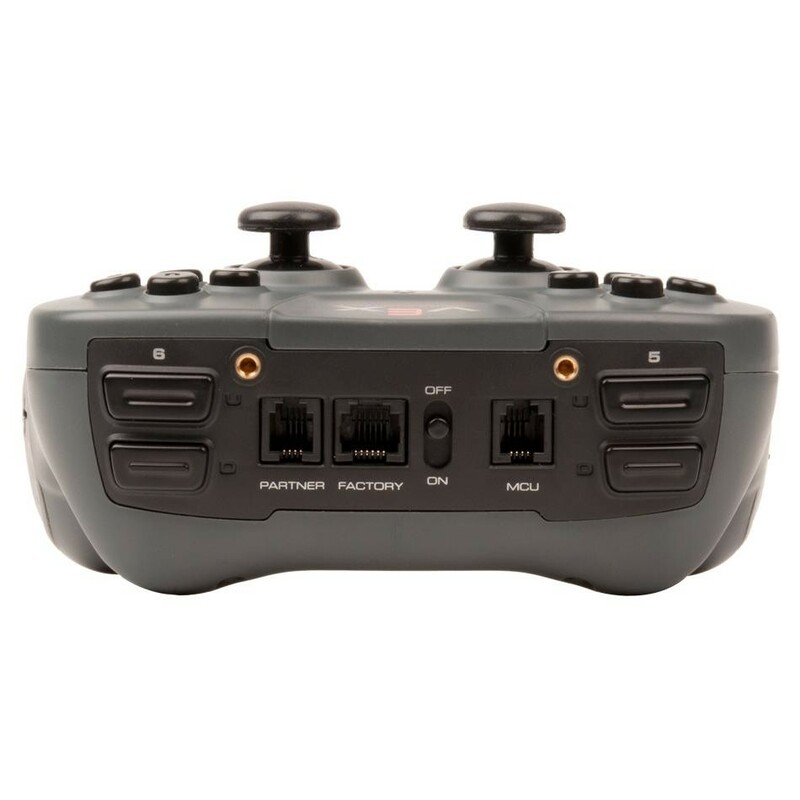 The Partner Joystick provides much of the functionality of the VEXnet Joystick without the VEXnet components. 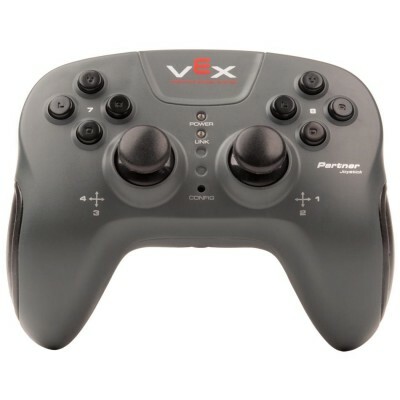 This product requires the VEX Partner Joystick Connection Cable. To control a single robot with a main driver using a VEXnet Joystick and a secondary driver using a Partner Joystick, simply connect the two joysticks together by running a standard telephone handset cable between their Partner ports. Choose the correct option in the Flowol 4 Interface Properties dialog to support both the VEXnet Joystick and Partner Joystick. This then provides inputs to the flowchart for all inputs on both joysticks. Compatibility : Use with a VEXnet Joystick or tether directly to a VEX Microcontroller. Ports: (1) Partner Port, (1) Microcontroller Tether Port. Batteries Required: 6 AAA Batteries (not included). Size: 5.5 in W x 4.3in L x 2.2in H.